The Digg Site Productions INC is excited to release our global Film App. 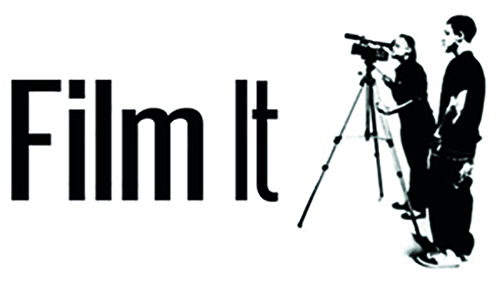 Our goal is to make learning filmmaking an opportunity for every student anywhere in the world. This app will take students through aspects of filmmaking. The app will allow the students the opportunity to learn through content and videos. A platform is set up to engage with the student through lesson evaluation. Once a lesson is complete, the student submits their responses. The App Instructor will review the student’s response and then send a reply. The student can them move to the next lesson. The Digg Site Productions INC located in Fremont Nebraska has created the Film It App / The Digg Site Productions INC is excited to release our global Film App. Our goal is to make learning filmmaking an opportunity for every student anywhere in the world. The App will be available at no cost to individual students registering the app on their devices. If you are an educational institution, you can contact us at thediggsite.org@gmail.com for classroom level access and special pricing. We have just begun our pilot group and anticipate full release in 2017. The Digg Site Productions, INC is very excited to bring our classroom to a virtual platform.